It’s that time of year when one end of year party rolls into the next. 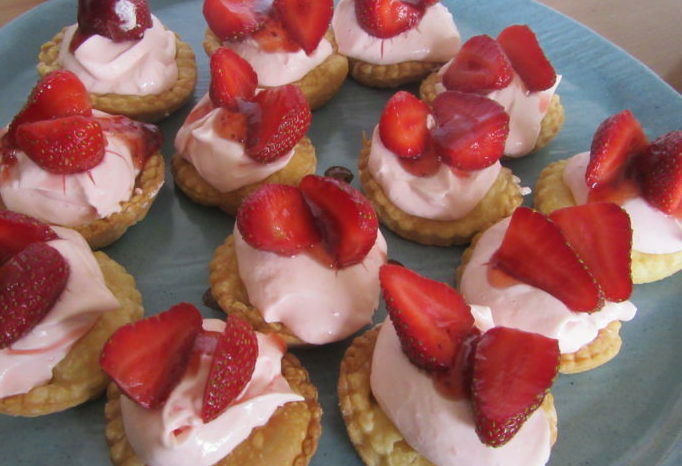 We have the end of year ballet party, the swimming party and so on, these strawberry tarts are great to take along to any bring and share. The pastry shells can be made in advance and even frozen, then putting them together is a doddle. 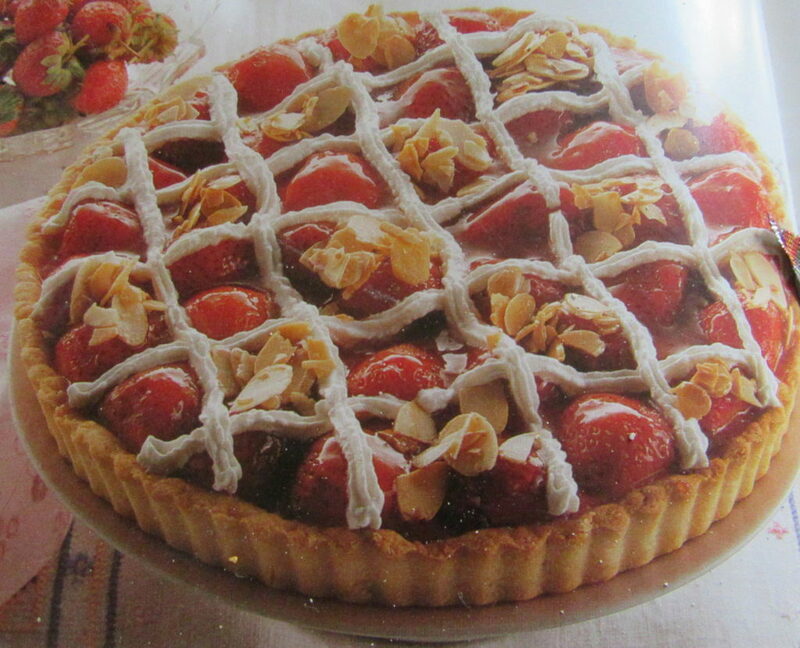 I find that it’s easier to serve small individual tarts instead of one large one which needs to be sliced. I had never made the Strawberry Flan in my favourite recipe book Lynn Bedford Hall’s, Best of Cooking in South Africa. 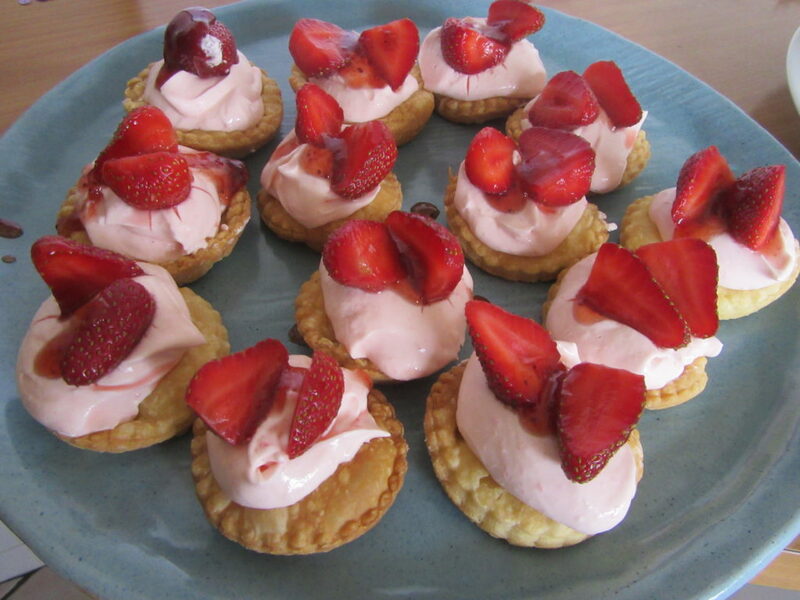 I first recently made it as per the recipe and it was lovely, I just felt that I would prefer it to set a bit (I’ve added a bit of jelly to do this), I always use my Gran’s pastry recipe for everything and I chose to make it as small individual tarts. This can be adapted to use many other fruits, it would be lovely replacing the strawberries with any other berries, if using gooseberries I would probably use lemon jelly. Roll out and cut out to fit in the base of muffin tins with about 1 cm going up the sides. Put these in the fridge to chill while the oven is heating. Hull and wash strawberries, halve and sprinkle with sugar. Leave to drain in a colander for about half an hour. Whisk jelly liquid, cream cheese, cream, icing sugar, orange rind and vanilla until thick and firm. Previous: Photos of the old SA flag were not from yesterday’s protest. When will we learn to stop and think?